The ECHO Bear Cat CH8720iH is an industry unique chipper that comes with a range of features that will get any job done. 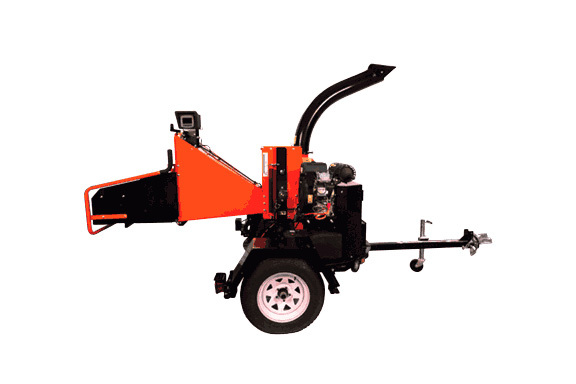 The 8” Turntable Chipper features a Subaru Electronic Fuel Injected engine for greater power, high altitude operation, fast recovery time and increased fuel efficiency. The turntable design allows the operator to turn the feed hopper closer to the material or away from hazards, like road sides. This model is equipped with hydraulic feed and feature ECHO Bear Cat’s Smart Feed System. The Smart Feed System speeds up the job by automatically feeding and adjusting the feed rate without operator intervention. This will allow the operator to load more material and be able to move onto the next jobsite quickly.